On 3rd May the FACTS4WORKERS consortium released its first project video. The video gives the viewers the basic information about and ideas behind the project as well as giving him/her an inside look in application of the beta prototype version for Hidria Dieseltec industrial use-case. 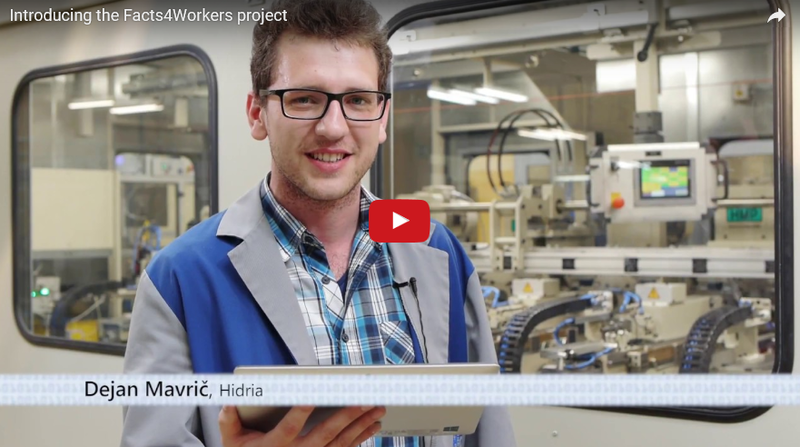 The video filmed at Hidria’s premises in Tolmin, Slovenia and gives the first impressions of the roll-out of the solutions developed within FACTS4WORKERS project. Roll-outs at other industrial cases are planned as well and the FACTS4WORKERS consortium will keep you informed about the latest status of achievements.